The average Staging investment is generally less than 1% of the homes asking price, which generates a return of 8-10%! A National Association of Realtors survey found that the longer a home sits on the market, the further below list price it drops. Homes that sold in 4-6 weeks averaged 5% less and homes that sold in 13-24 weeks averaged 6.4% less than list price. If you can't see objectively, you can't package it effectively. Have the professionals from Fine Redesign get your home into its most advantageous condition for showing. Over 90% of buyers are searching for homes online before deciding to visit and have cited pictures as the most important determining factor. Give buyers a reason to want to view your home by having multiple photos of beautifully staged rooms that will stand out among the competition. This is why Staging is critical! 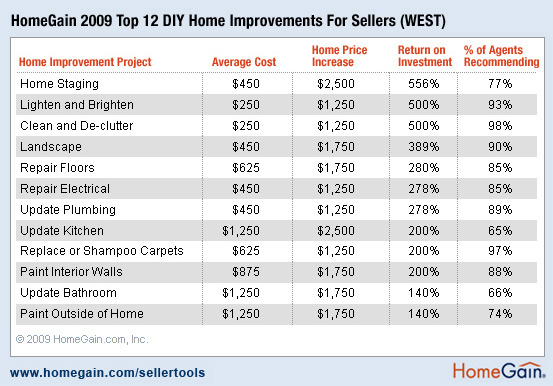 You don't want the advantages of your home overlooked and left up to the buyer's imagination. 7. The Longer Your House Sits on the Market, The Lower the Price Will Be - So STAGE IT FIRST! within the first 4 weeks. 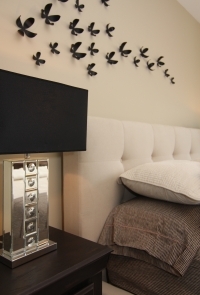 The cost of staging will always be less than your first price reduction so have your home staged before you list it! 8. The Money You Make May be TAX-FREE! Take advantage of a possible tax-free capital gain by getting every dollar possible in selling your home. Right now, there are a record high number of homes for sale. Competition is stiff and buyers have high expectations, as well as many choices. Successful realtors know that the key to competing is professional staging because it helps drive buyer traffic to the home and turns prospects into buyers. You will have the satisfaction of knowing you have done absolutely everything possible to affect a quick sale of your most valuable commodity and for top dollar! Chances are, you've gotten lots of your packing done too!